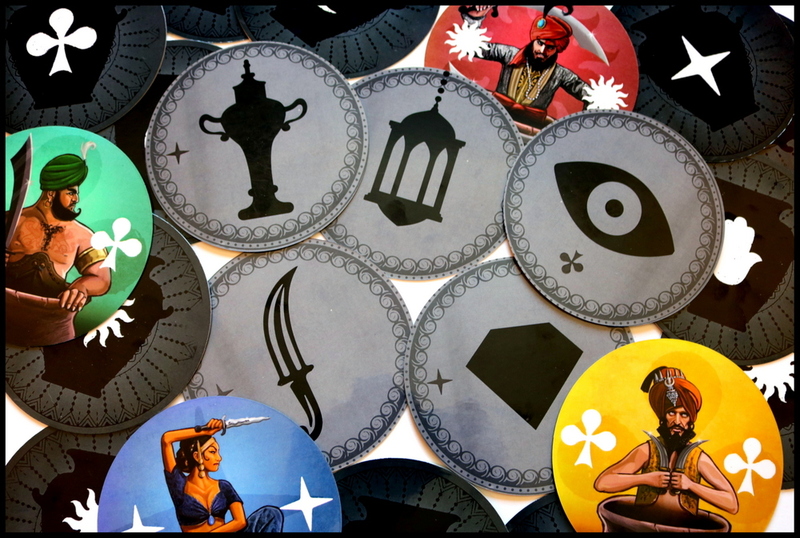 When a game arrives in a cloth sack, and you open it to find a stack of cardboard discs with art that seems right out of Arabian Nights, you have to be intrigued. Which is the case with 40 Thieves from Canadian publisher JackBro Playful Creation. Now admittedly my copy is a preview one, the game is currently on Kickstarter, but appears likely to succeed as they are near 50 percent of their goal and the campaign will run until Apr. 26, but I’d guess my copy is close to what the finished product will be. So what is 40 Thieves about? “In a medina on the borders of the kingdom, thrives a dishonest merchant with excessive wealth,” details the company website at www.jackbro.com (a site that is in French but thanks to the Internet a passable translation is a keystroke away. “Gold coins, fabrics, and carpets pile up in its hidden and well-guarded landmark. 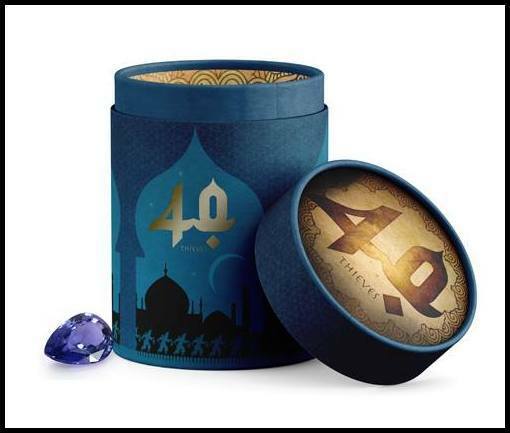 In the middle of his treasure, nine bluish sapphires of great purity. Nine precious stones that make you dream. In the city, looters, thieves, and other knaves are challenging themselves: whoever steals the most of these stones by night will be crowned king of thieves. The game comes to us from designers Jean-Thomas Rioux and Étienne Rioux. 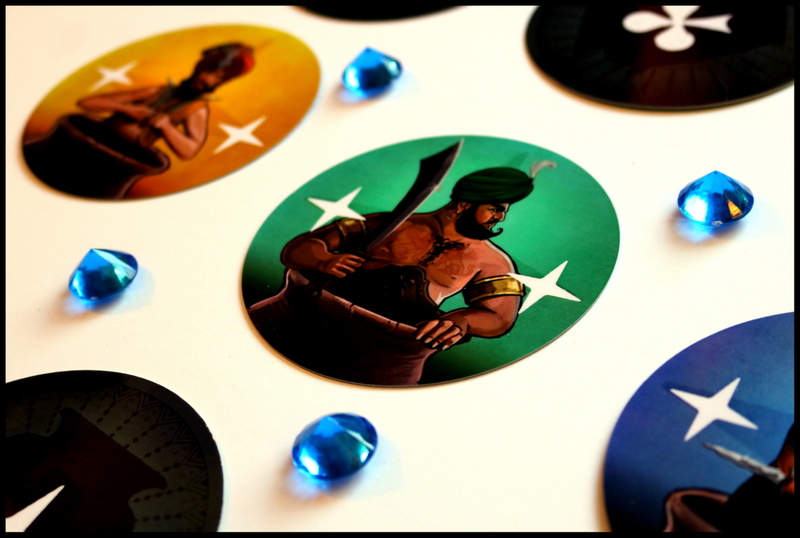 The game, which accommodates two to four players, is made of 40 thieves cards and 20 special cards. Each card has a colour and a symbol on the back, but only one is true. Players have to use deduction, memory and push their luck to arrange suits of symbols or colours to steal a sapphire. The game starts with the placement of 16 cards into a 4 x 4 grid face down. 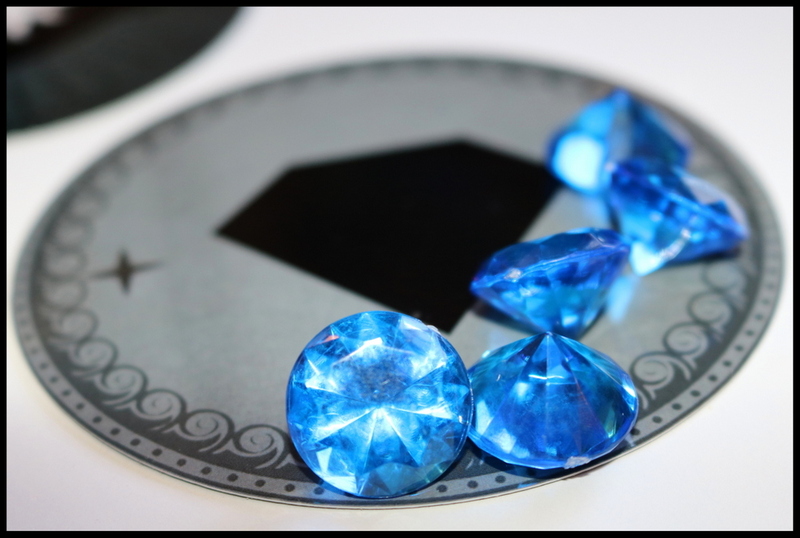 Through four phases players work to collect sapphire gems. When the last gem is taken, the game ends. 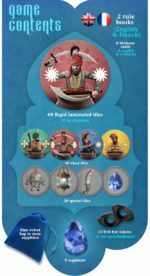 Jean-Thomas Rioux was good enough to answer a few questions regarding 40 Thieves via email, starting with the initial idea. “Everything can get you to your creation ideas,” he said. Rioux explained his brother is an illustrator, so a few times they start the creation process with drawings he did. Rioux said games also take on a life of their own in terms of how they come together. Vikingar, a previous game from the design team, took a couple of years to come together, said Rioux. The biggest part of the process is being able to give up on some game ideas you initially thought to be brilliant, offered Rioux. “The most difficult aspect is that you have to manage your emotions and be able to destroy your own ideas,” he said. “You need to be able to challenge yourself at all times. “Another difficult aspect is not to go too fast in visuals and prototypes of qualities. These details are very expensive and often limit us in our modification. “It is often easy to turn round corners and not to take enough time to experience a game mechanics, or the fluidity of the game. Rioux said they also wanted to create something as unique as possible. “We always try at Jackbro to make games that are different and not really comparable in the market,” he said. “We also try to make strong visuals. 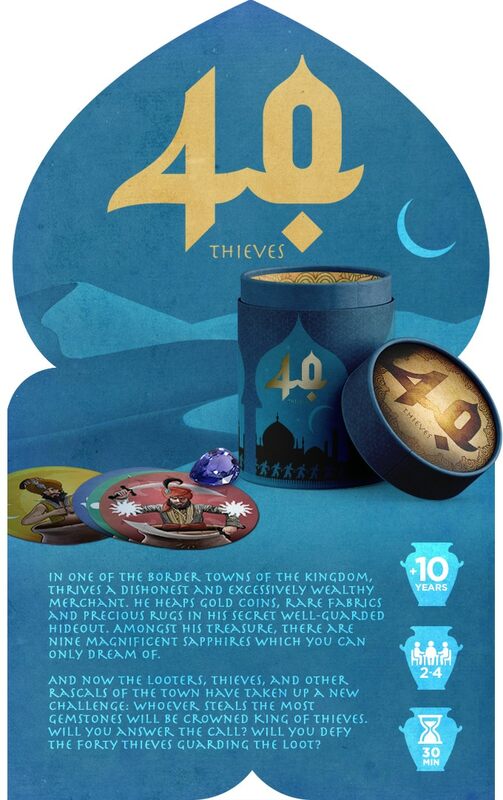 The game of 40 Thieves is the first game in a 1001 Knights series that Rioux said they are working on. This is a deduction and luck game that has a fairly unique look which should appeal to people who like the process of in-game discovery by having a good memory and some good old intuition.